Why I Changed The Colour Of My Son’s Hair – Olamide. 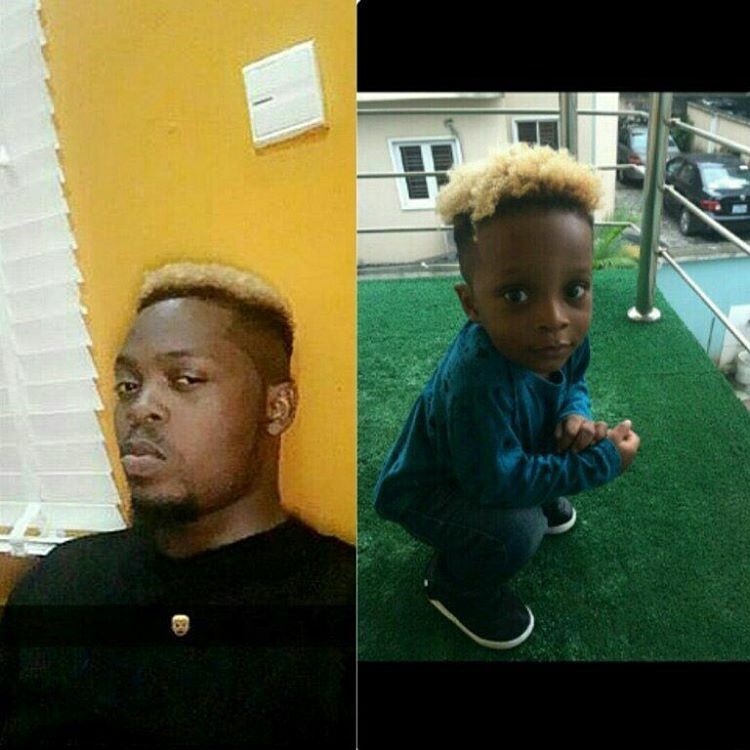 It took most fans by surprise when popular musician ‘Olamide Badoo’ decided to dye the hair of his one-year-old son Batifeori Maximiliano Adedeji. When the pictures of Olamide and his son rocking matching hair styles hit the internet, most of his followers felt the one-year-old boy was too young for such eccentricities. The YBNL CEO who wants to be remembered as “a symbol of hope for the streets.” also went on to reveal that he and his protege Lil Kesh are still on good terms even though he is no longer signed to the label.